With paintball increasing in popularity, it is becoming crucial that customers know exactly what they will receive on their next paintball adventure. There are vast differences in the quality of paintball centres in Australia and that’s why we’ve devised a system that issues 5-star ratings to the best paintball centres in Australia. The AUPBA wants paintball to become a mainstream sport in Australia and to do that we need to set a benchmark for centres to reach in order for them to continue improving their facilities, and overall, improve the customers’ paintball experience. In recent years, the Australian paintball industry has seen a dramatic improvement in paintballing standards. We have seen paintball operators change from offering hay bales and wooden pallets as cover, to now investing a lot of money to have various movie-themed props for their customers to play between. This has been great for the industry as not only have the game scenarios improved, but so to have the equipment and onsite facilities, leading to a safer and more enjoyable day out for the customer. In order for a paintball centre to become AUPBA-approved, they must meet a stringent set of criteria. If they become accredited, they will receive one of two types of memberships to the AUPBA. The first is a standard membership, which is for those quality paintball centres who provide a safe and action-packed day of paintballing to their customers and who contribute in a professional way toward the constant improvement of the paintball industry in Australia. 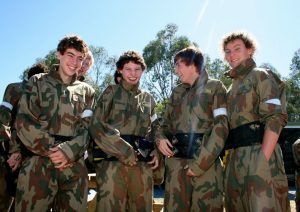 The second is a 5-star membership, which is awarded to those paintball centres in Australia who maintain a premium standard of facilities and services. They offer the ultimate paintball adventure, placing an emphasis on safety and customer service and satisfaction. These centres have been inspected and their level of professionalism and quality is the highest in the industry. At the publication of this article, the AUPBA has issued 5-star ratings to four centres across Australia: Appin, NSW, Dingley, VIC, Muchea, WA and Bonneys, WA. All of the above centres have pushed the boundaries of the Australian paintball industry, revolutionising it with their movie-set game scenarios and outstanding equipment. Not only have they made a day of paintball action safer and more enjoyable, but also their facilities, staff and training procedures will ensure you have the very best paintball experience. But we also recognise the need for adrenalin-pumping action! The game zones on offer at these 5-star rated centres will make you feel as though you’ve been placed in the middle of a movie-set. It is obvious that a significant investment has been made to produce such outstanding scenarios. 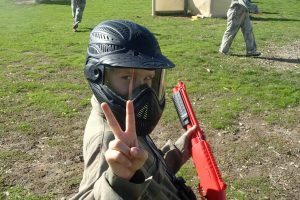 Double-decker buses, pyramids, USAF aircraft, Wild West towns and massive forts are just some of the structures you will encounter on your day out at these paintball centres. Click here to view the AUPBA 5-star locations. Watch this space as more centres improve their facilities to become 5-star paintball centres.